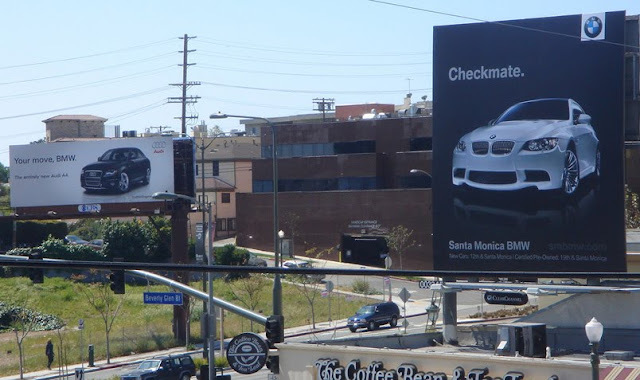 This is a very witty move from BMW. It's great to see some creative rivalry go down between two distinguished brands. Kudos to BMW for the classy response! I'd like to see more brands taking this approach rather than the high school bitter taunt-like responses most brands fall back upon. This has to be the most promoted set of billboards on the planet.